Beauty is in the eye of the beholder. Those are the words that I kept telling myself as we were getting requests to review the new driver from Callaway’s FTi line. I had seen the pictures on the web like most of the readers and the club was just not my cup of tea based on them. But over the course of time of writing these equipment reviews, I have learned not to trust a picture and wait until the real thing is in my hands. We got so many requests to review this club we just had to reach out to Callaway and speak to them about covering it. They were happy to oblige for the THP readers and within about 5 days the club arrived. 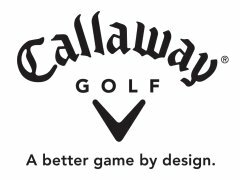 I want to touch on Callaway’s customer service, because over the years it has been some of the best we have ever dealt with. Regardless if we are speaking to a contact there or just calling a customer service rep, we always get correct answers and everybody is extremely friendly. So nice to have that in this day and age. When the box came we could not wait to get our hands on it. After removing it from the box, I once again reminded myself that pictures do not do clubs justice. This driver looked very good in our hands. With a club head design that was inspired by a Lamborghini, we could only hope that it delivered the same aerodynamics of the amazing sports car. While it retains its 460cc volume, the club head is much less square than its predecessor in appearance. The driver does set up slightly offset, but because of the shape looks even more closed than it really is. Callaway engineers claim the elongated depth dimensions, compared to its FTi predecessor, increase the moment of inertia (MOI), to deliver 35% tighter shot dispersion. The titanium club face has an X-Shaped Center with just enough surface texture to repel moisture and impart spin. 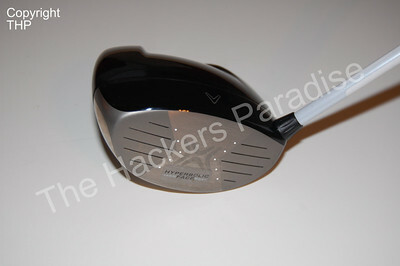 That’s also a feature in Callaway’s Hyper X driver that we absolutely loved. Both have a hyperbolic face to deliver consistently high ball speeds whether hit purely or off center. That was a major complaint we had of last year’s square driver is the lack of a “hot face”. I can tell you that after using this driver for the better part of two weeks, the face is HOT! 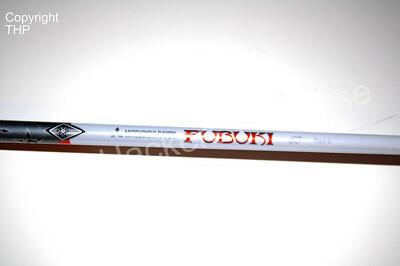 The shaft used in our testing was the Mitsubishi Fubuki in stiff. I loved the shaft. Not flimsy at all, but had great play in the tip. But all the technical specs can only go so far and the proof will be how it plays on the course. The first day we took six people out to the range for some testing to see what their thoughts were. Four out of the six players that tested the club on day one struggle with losing the ball to the right off the tee. The other two struggle with losing it to the left. (note that all players were right handed) The first thing we noticed is that the sound is much more “real” and less tinny than last year’s model. Sound is a huge part of drivers these days with some being loud enough to cause hearing damage. Each golfer hit about 30 balls with the driver and then we got together to compare notes. All four golfers that struggled with a fade or slice were in HEAVEN. They reported back great distance, phenomenal control, and no slicing. The two golfers that had issues with a hook both had problems with this club. They really liked the face at impact but just struggled to keep it straight. Over the next week, I played this driver on the course and to my amazement, it is long and straight. However I am one of those players that can lose it to the right so having a driver slightly offset has never been an issue for me. I played 8 times with this driver on the course and the best effort was hitting all 14 fairways with it. The worst effort was hitting 11 of them. To put that into perspective I average about 11 fairways per round at my home course. The distance was quite good as well. Definitely on par distance wise with what I am used to playing with even more forgiveness. We decided that we wanted more feedback from the general public on this driver and decided to take it back to the range for more testing. We took the driver to a very busy course on a Saturday morning and headed to their practice facility. Once there, we were able to get feedback from an additional 15 golfers of various skill levels on their thoughts on the Callaway FT IQ. We got lucky with this one as four of the golfers actually played the Callaway FT I and were able to compare this new driver head to head against last year’s model. All four of them preferred the new version for one reason. They said it went further. The rest of the golfers had the same feedback. If you struggle with a slice, this is a tremendous driver. Overall we really came away impressed. Going into this review I was not real eager to try this club, but it changed my mind on the course. If you are a player that struggles from slicing, it is definitely worth a shot at a demo day or store. It will be available in both regular (we tested) and tour. From what we can gather the difference is slight weighting and the regular model is 1* closed while the tour is neutral. 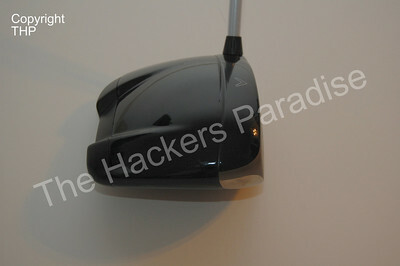 The MSRP is $499.99 so it is not the cheapest driver out there, but even at that price it is worth a look in THP’s eyes. You can read tons more about it at Callaway FT IQ. I play the FTi from last year and it is missing exactly what the reviewer said. A different face. I have to try one of these now. This was a solid review of a club that I have been waiting for. Will you be covering the Tour model as well? We most likely will not be reviewing the tour model this year. Nice review, unfortunately for me its MSRP is about $100 more than I want to pay for a driver. Thanks for including that info. One of the better reviews on this club. So glad that you guys actually get multiple people to hit the drivers. This was not on my list of new drivers until i read this review. I struggle with a slice and this one just may help me. I want this one badly. I hit it at a demo day and it is just as described in the review. I dont care how Callaway does it, the damn thing flies straight. You guys really did your homework on this one. Great work. Based on your reviews, the Callaway FT series and the Nike Dymos both seem right up my alley. Too bad I just bought a used driver the other day! The look just gets to me a little with this one. nice review JB. although i am very happy with my FT-i, it seems as if everyone is saying this is even better. so im prolly gonna have to pick one up soon now. darn it! Nice review. It looks like one of the Tai Fighters from Star Wars, but that is a good thing. Great review. I am looking at either the FT-iQ or the Nike DYMO2. I did read a post after the DYMO review asking you for a comparison. Any thoughts and comments would be appreciated. I recently purchased the FT-IQ Tour and Squareway 5 Wood. I upgraded from the FT-i to the FT-IQ Tour, and I can’t be happier. The trajectory is perfect. I can moderately shape the ball. I’m straight. The Fubuki shaft is confidence inspiring. And, I’m averaging 275-295 yards. The biggest problem with the driver is that I hit it so far with such accuracy my dad is making me move back to the tips! As an FYI, I’m 38 with an athletic build and am a 7.4 handicap. I also really enjoyed the accuracy and feel of the Titleist D Comp and the Taylormade Burner TP (I need an square to open face). But, the Callaway rep gave me a deal I couldn’t refuse. FT-IQ Tour stiff and Squareway 5 Wood out the door = $422. I’m expecting to drop a couple strokes by summer. 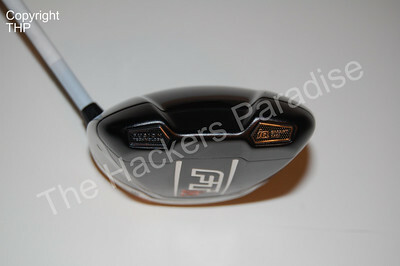 Is the ft-iq a better driver than the taylormade burner 09 driver. I am having great difficulty to decide which driver to choose can you help please. THere is no “better” driver. There are tons of great drivers. It really will all come down to individuals. I suggest hitting as many as you can and seeing which one fits best with your swing. Thank you i am going up my local range this weekend to try out a range of drivers now . Just purchased this driver after trialing many others as well, kept coming back and picking this one up and overall the results were far more consistant, generated very straight distance, the spread on my drives was only 10yards, so staying on the fairway was easier, this club for me performed better when I lowered my swing speed, so for me the regular flex was better than the stiff, also, I found the flight lower than I am used to so went for 10 degrees. Price is not the issue really as most of the better drivers are around $400-$500+ so, in the end if I paid a few dollars more for a more reliable drive, over the next few games the difference in price will be forgotten and forgiven. Just picked up the tour model of this driver on sale from Edwin Watts and with my trade in (FT-I) this thing was a steal. Boy, does it ever go and go and go. Long and straight. And off center hits are as good as sweet spot hits with my FT-I. I’m not a long hitter but I am eeking out about 260 on average with this driver. This is an increaase of about 20 yards from my average with the FT-I! The question is because Callaway allowed such a deep discount, what are the going to spring on us next?!?! Just ordered this driver, I hope it helps with my slice… Expecting it in a few days. I have the FTI but I think I am going to purchase the FTIQ next year. The reviews are great and the price has really come down. You can get this new for around $300 and anywhere from $190 to $260 from Callaway used. I am now trying to decide which loft to get, probably go with the 12*. 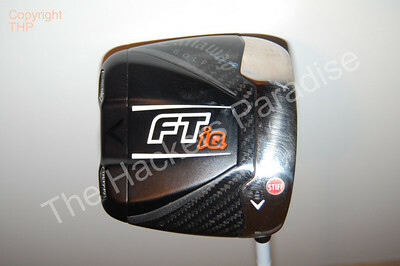 Tried the FT iQ but the guy in Golfbox suggested I also try the new FT iZ – really liked it so I bought one & thus far have had great results with it. Looking forward to seeing the reviews when they come out. I bought FT-iQ driver last week on a sale. I just love the shaft and the unique shape of the clubs. The guy in the store also recomend me over the Diablo which I choose earlier. I didn’t tried it and have no chance to use it until now. I’m glad reading your review that it’s actually good driver. Thanks for the review. I woild choose the Nike Dymo2 over this club any day! It’s shaft is about 1 inch shorter than Nike and Ping!